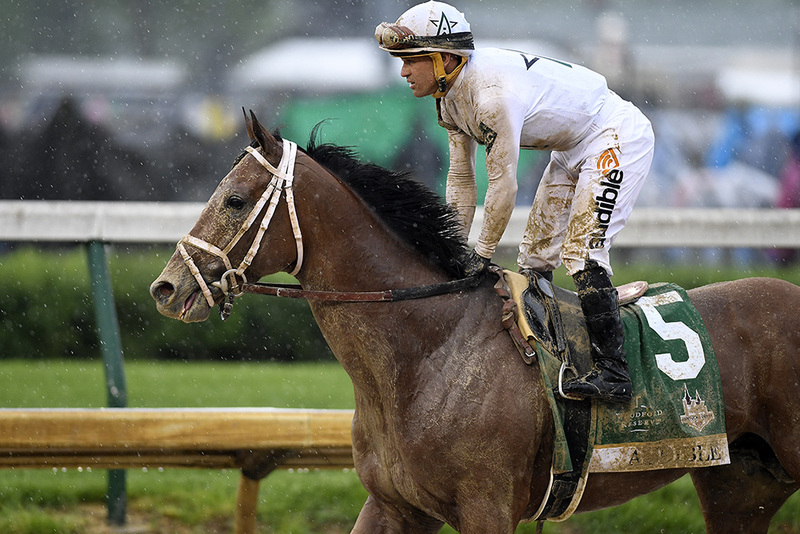 The dream ends (for now) for Florida Derby winner and third place Kentucky Derby finisher Audible, who will not be facing Triple Crown bid Justify in the Belmont Stakes. Trainer Todd Pletcher, who has won the race three times (Taprit, 2017; Palace Malice, 2013; Rags to Riches, 2007), stated the colt’s energy level has not been the same since the first Saturday in May and because of that will not contest the mile-and-a-half race on June 9, 2018. The news comes as a bit of a disappointment for racing fans and insiders who were hoping his owners would give him a fair shot to run his race against Justify, who is also owned in partnership between the same four groups (see below). But the reasoning behind why the colt will not be running appears to be much more in the interest of the horse’s well-being than for the sake of winning the Triple Crown. A much lighter Audible was spotted galloping at Belmont Park on the morning of May 25, having a bit of difficulty holding his left lead. So, while there will be no rematch just yet, it is great to hear the colt is in good hands, building up his strength to return later in the year. Audible is a brown son of Into Mischief and Blue Devil Bel (by Gilded Time). He was bred by Oak Bluff Stables, LLC, and was foaled February 19, 2015, in the state of New York. In 2017, the colt sold at the Fasig-Tipton Florida Select Two-Year-Olds in Training Sale for $500,000 and is owned in partnership between WinStar Farm, China Horse Club, Head of Plains Partners LLC and Starlight Racing.